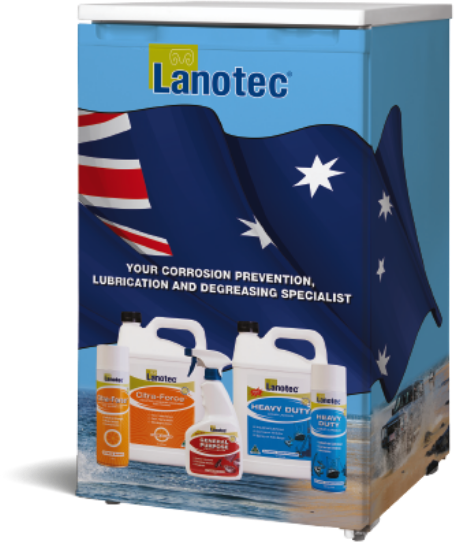 Buy from our Corrosion Protection range of industrial grade natural degreasers, anti-seize, penetrants, release agents & timber protection products. 2. Complete the entry form! Complete the simple entry form below to be immediately entered into the competition. The entrant must retain proof of purchase. The proof of purchase required is a receipt for the Qualifying Transaction. Limited to one entry per qualifying transaction. How do you use Lanotec products? Promotion runs from 30th March 2019 to 31st May 2019. Drawn on 14th June 2019. Winners notified by 21st June 2019. A draw will take place at Lanotec’s Head Office, Unit 79, 57-101 Balham Road, Archerfield, QLD 4108 from entries received during the promotion period only. The draws will take place at 12:00 pm AEDT on 14/06/2019. The first valid entry drawn in each regional draw will win the prize specified above. Entrants must keep their proof of purchase specified in the How to Enter section as proof of purchase (“Proof of Purchase”). If an entrant fails to produce the Proof of Purchase for a specific entry or each entry, as and when requested by the Promoter, the Promoter has the right to invalidate the entrant’s respective entry/entries for which Proof of Purchase cannot be provided and/or all entries submitted by that entrant and/or forfeit the entrant’s right to a prize. Purchase receipt(s) must clearly specify: (a) the store of purchase as a Participating Venue; (b) the required product/s or service/s to be purchased for entry; and (c) that the purchase was made during the Promotional Period and prior to entry. The Promoter and its associated agencies and companies will not be liable for any loss (including, without limitation, indirect, special or consequential loss or loss of profits), expense, damage, personal injury or death which is suffered or sustained(whether or not arising from any person’s negligence or wilful misconduct) in connection with this Promotion or accepting or using any prize (or recommendation), except for any liability which cannot be excluded by law (in which case that liability is limited to the minimum allowable by law).